There’s one new DVD/Blu-ray release this week and it’s definitely one you won’t want to miss. Natalie Portman stars in the action/adventure sci-fi flick Annihilation, based on the bestselling novels Southern Reach Trilogy by Jeff VanderMeer. Check it out below! 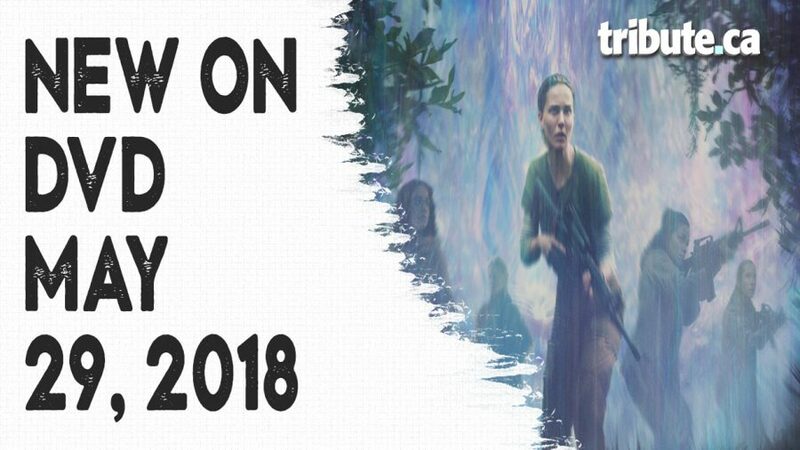 Annihilation – When her husband Kane (Oscar Isaac) goes missing during a top-secret military operation, biologist and Johns Hopkins professor Lena (Natalie Portman) is surprised when one day he just shows up at their home. Unable to tell her what happened or how he got there, Kane suddenly begins to bleed. He’s taken to a military facility, but his prognosis doesn’t look good. When Lena is asked to join a four-woman team led by Dr. Ventress (Jennifer Jason Leigh) and comprised of paramedic Anya Thorensen (Gina Rodriguez), anthropologist Cass Sheppard (Tuva Novotny) and physicist Josie Radek (Tessa Thompson) on a scientific expedition into an area that is known as “The Shimmer,” she decides she has nothing to lose and possibly much to offer, so she agrees. What they find there is a lush and haunting terrain of mutated landscapes that present deadly creatures and shocking discoveries. Click here to watch our interview with director Alex Garland. New on DVD – Glass, The Kid Who Would Be King and more!